The Zondervan Illustrated Bible Dictionary provides a visually stimulating journey for anyone interested in learning more about the world of the Bible. Through the articles, sidebars, charts, maps, and full-color images included in this volume, the text of the Old and New Testaments will come alive for you as never before. 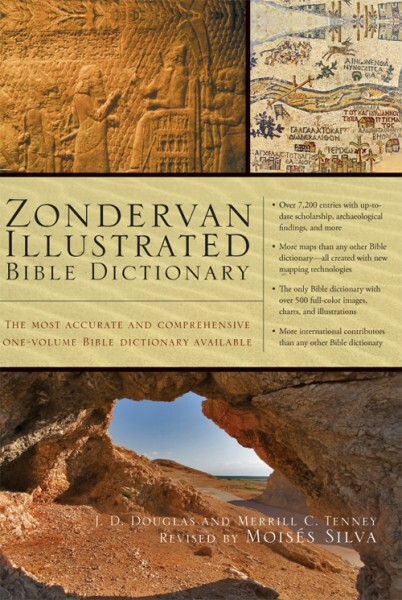 As a condensation of the Zondervan Pictorial Encyclopedia of the Bible, the information contained within this reference work is solid and biblically sound. The material is based completely on the NIV and cross-referenced to the King James Version, and it contains over 7,200 entries, 500 four-color photographs, charts, and illustrations, and 75 four-color maps, making this wonderful Bible study resource a must-have whether you’re a general reader of the Bible, a pastor, or a student.